Childhood should be a carefree time filled with safe and sheltered exploration of the world and preparation for adulthood. Sources of stress should be limited to the mundane. That debate over which glittery kaboodle to get. A disagreement with your mother over what constitutes appropriate school attire. The occasional feud with a friend. But not all children enjoy such a worry-light formative period. This unfortunate truth is something I have learned firsthand in my over a decade working with urban youth. 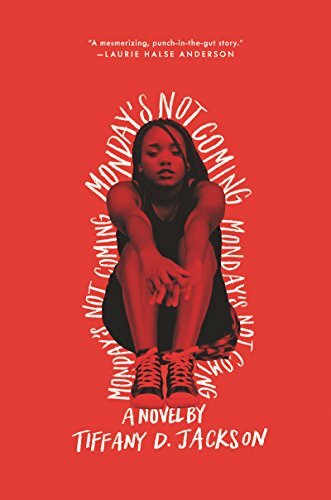 It is also something that Tiffany D. Jackson seems to be dedicated to showing her readers, as both her first book, Allegedly as well as this follow up, Monday's Not Coming, highlight the struggles of youths growing up in a world so turbulent that they struggle to stay afloat. The protagonist in this novel, Claudia Coleman, hardly existed as a singular person. She had always been part of an inseparable duo consisting of her and her best friend, Monday. So, when Claudia returned from a summer trip to her grandmother's house to find Monday nowhere to be found, continuing with her existence seemed all but impossible. Claudia had worried about Monday throughout the summer, as Monday neglected to write her as they had agreed, but she had shoved her fears aside, assuming that all would be okay upon her return. Not only did Monday's phone number no longer work, when Claudia got to school on the first day, she found that Monday had been unenrolled. This sets Claudia off on a quest with one clear goal – to find Monday. But, as Claudia quickly learns, her mission will be a solo one. Much to her chagrin, every adult she confides in discounts her worries and assures her that all is fine. Maybe she’s just going to a new school. Maybe she just doesn’t want to be Claudia’s friend anymore. But none of these seemingly logical explanations satisfy Claudia. She knows Monday’s mother and siblings still occupy the same house they’ve always called home. Monday would never leave their school. And, although friends fall out of favor with each other, Claudia simply can't accept the possibility that Monday is - rather elaborately - ghosting her. She's certain something must be wrong. Lamentably, the disappearance of a black girl in Washington, DC, is anything but rare. The frequency of this occurrence acts as a hindrance, making it even more difficult for Claudia to convince people that Monday's vanishment is cause of concern and rally the support she needs to find her friend. The strength of this novel rests in its willingness to be bold and brash and honest. This is an almost unfathomable problem. Though it’s hard to believe, a person can go missing and the world keeps spinning. People go to sleep and they wake up. They eat dinner and they do the dishes. They engage in all the mundane tasks that would seem impossibly trivial to the person whose sun is no longer in the sky. To Claudia, Monday’s disappearance means everything. To everyone else, it’s almost unnoticeable. It’s just the movement of a transient girl in a population known for its transiency. It’s neither surprising nor noteworthy. Believing in the significance of this problem, I was hopeful that this book would really shed some light on it – help me understand the issue from all sides in a way that I wasn’t previously able to – as Jackson accomplished this feat in Allegedly. Unfortunately, I don’t feel that she accomplished it as masterfully here. By the end of my reading, I had compiled a rather significant list of issues with this novel. From the start, the overall structure of the book presented a bit of a challenge. Like many – even most – contemporary novels, this one plays fast and loose with the timeline, jumping back and forth to slowly reveal truths, thereby creating the maximum literary impact. But, the way in which the movement back and forth in time occurred in this novel made it very confusing. To explain why, let me try to explain how the book was structured. The book as a whole was divided into large sections representing calendar months. These large sections were further subdivided into smaller sub-sections – essentially, chapters – labeled as before and after. Some sub-sections deviated from this convention even more and were labeled things like one year before the before or two years before the before. As complex as it was, I’m not opposed to the idea of the book being divided in this way. In doing so, the author essentially installed another mystery. What made this set up a liability instead of an asset was the frequency and speed with which the author jumped back and forth between these time periods. It made it exceedingly difficult to remember if you were in the before, in the after, or some pre-before time. The lack of clarity made developing a timeline in my head a rather arduous task – that I eventually, TBH, pretty much abandoned. The confusion that this structure created could have been cleared up through the use of non-traditional book design. If the before and after sections were in different fonts, for example – or, even more extreme, if the before sections were black print on write pages and the after were white print on black pages – really, anything that would serve as an ever-present visual reminder of where in time we are when the events described are taking place would have helped immensely. *Note – It is possible that the publisher will ultimately use a book design element to clear this up. For this review, I read a digital advanced release copy provided six months prior to publication date. The other issue that I had with the novel pertained to believability – and wouldn’t easily clear up with some fancy schmancy design features. As some of the mystery is unraveled and we uncover the truth of what happened to Monday, we as readers are asked to believe that two key characters had some serious mental breakdowns. The first character, Monday’s mother, who – despite never really being a stellar mother anyways – was, supposedly, made even worse by the stress and strain associated with the gentrification occurring in her neighborhood. We are asked to believe that this strain was so significant – so severe – that she did the unthinkable. The other character was our protagonist, Claudia. We ultimately find out the event that separates the before and the after is a mental breakdown Claudia suffered in school shortly after discovering not only that Monday is dead, but that she died in a horrific manner. It’s not that I don’t believe that having a mental breakdown of this magnitude is possible. But I don’t believe the breakdown, and all that follows, as described here. It simply was so implausible, so unlikely, that it really was a novel killer for me. 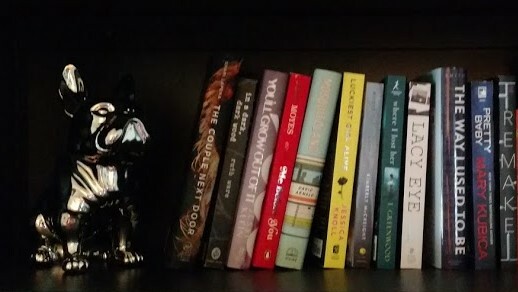 And that sucked, because I really wanted to love this book. Why was I so eager for this book to be amazing? For a couple of reasons, really, but primarily because I believe that this is a tremendously important topic. Sure, I would love to think that this fictionalisation is just that... Fiction. Born from the writer's imagination and having no connection to the real world. But I know it simply isn't true. I know that there are too many kids who don't have time to worry about whether they will get that new Barbie or bike for their birthday, because they are too worried about what they will eat for dinner. Who don't have room in their minds to stress about an upcoming world history test because they don't know where they will sleep. Who haven't the luxury of stewing over whether their parents will give them permission to go on a Friday night sleepover because they don't know how they are going to get home from school safely. There are lots of reasons why authors write. Based on her first two books, it would appear that Tiffany D. Jackson's purpose is, at least in part, to draw attention to some of the very real issues that plague contemporary youth. Kids need a voice, and people who have the comfort of being oblivious to the struggles that some youths face do need to be made aware of the realities with which these children contend daily. While I appreciate the focus and think there were merits to this novel, the weaknesses were just too significant, in my opinion, to recommend it without reservation. It earns 3 out of 5 cocktails. Time to move on to a new book… a lighter book, perhaps?... Want to see what I pick? Follow me here. Books about difficult topics aren’t easy to read – and might not be the obvious choice for readers looking for an escape from the rigors of daily life. But these books do serve an essential purpose – helping those of us who have not personally dealt too much with significant struggles to see what others with whom we share the planet face daily. 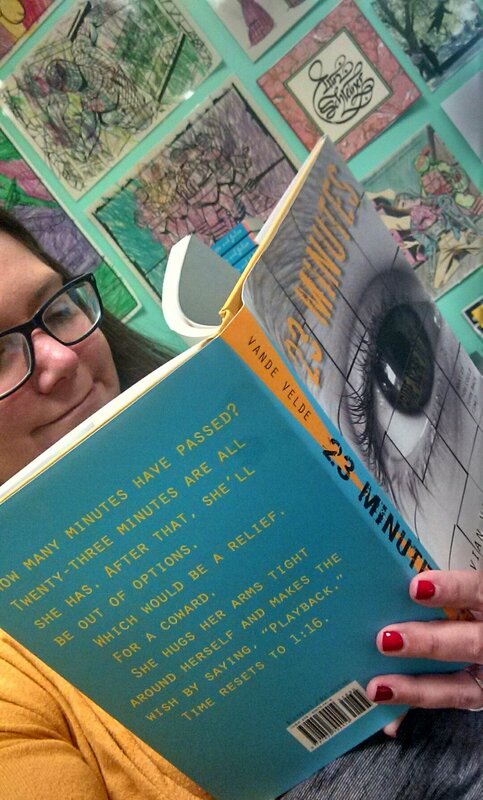 Do you ever read books about difficult topics? Which are your favorites? Tell me about them in the comments, below.